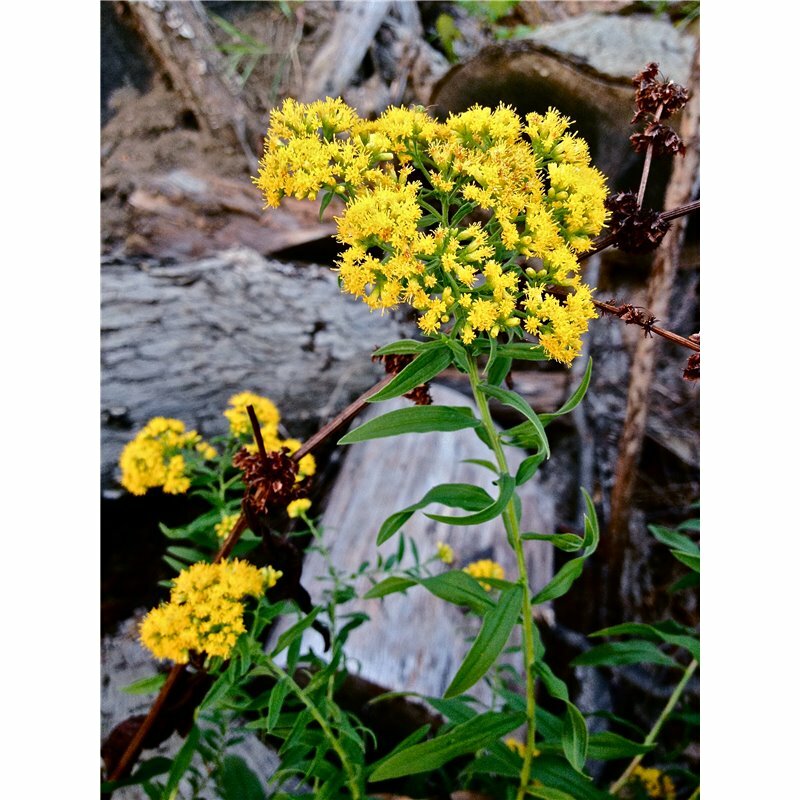 Lance-Leaved Goldenrod is a 3' to 5' tall native perennial that, unlike other goldenrods, has a flat-topped floral arrangement. 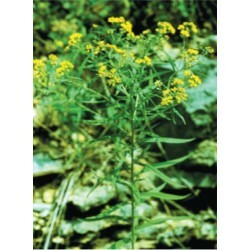 This is a summer flowering plant with broad flat-topped open clusters of small, dense, yellow flowers. 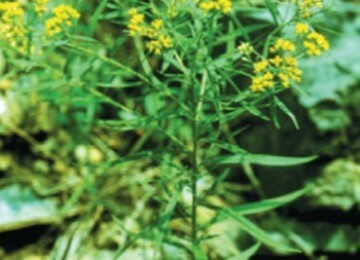 Lance-Leaved Goldenrod grows best in medium to moist soils and full sun; however, it will tolerate some shade. 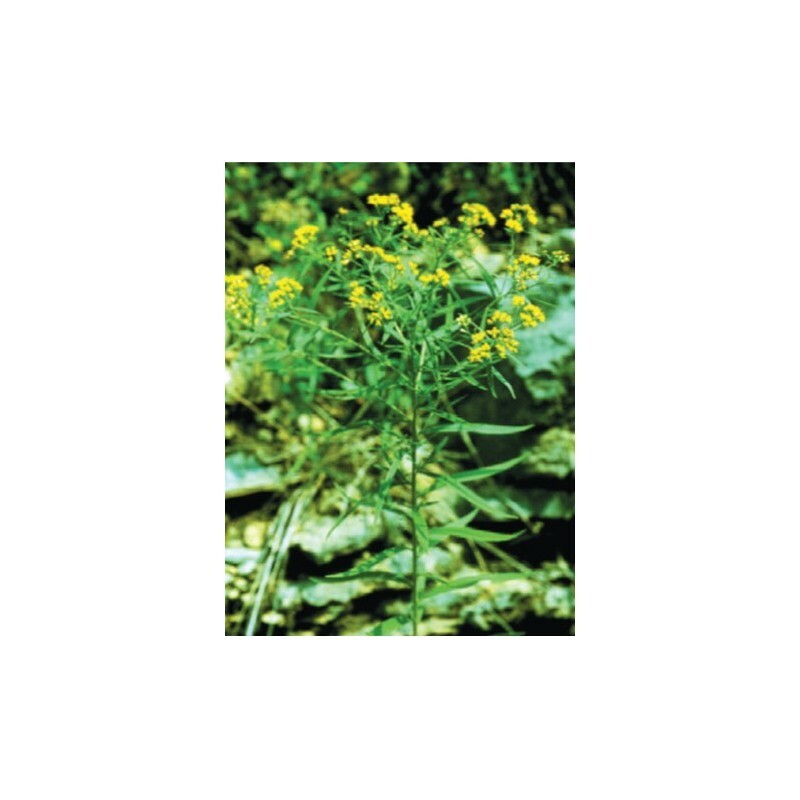 It is usually found growing wild in low moist meadows, prairies, and woodland edges and is easily established from seed. Lance-leaved Goldenrod seed are consumed by American Goldfinch and it is an important plant for the Swamp Sparrow. It is also a good pollinator conservation species. 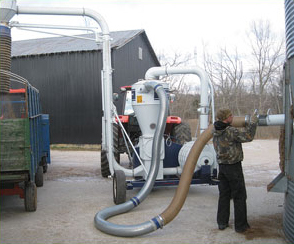 Prices listed are based on pure live seed weight, not bulk weight. 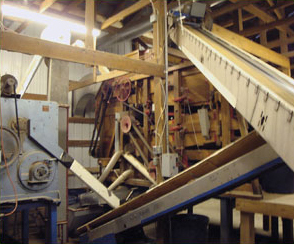 You are only paying for viable seed.